Under the regulations of Article 14 of the Framework Act on National Standards, those who possess and use measuring instruments should regularly correct instruments to enhance National Standards themselves and the traceability of the measuring instruments utilized by all communities in the country. The correction target and implementation range is autonomously regulated for such operation under Article 42 of the "Method of Management for National Association of Calibration Laboratories Accreditation”. Measuring machines need to maintain an acceptable accuracy level for testing and measurement. Accuracy can be certified within an acceptable allowance required according to the specification. The accuracy test makes regular use of a high ranking standard used for comparison correction. Therefore, the correction targets should be set based on reliability of the maintenance of the functions within the acceptable allowance of each target for measurement. 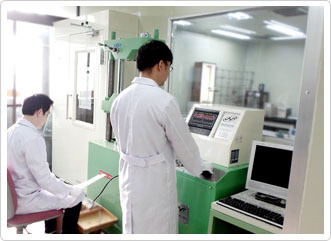 Calibration is the work that the calibration organization verifies the accuracy of various testing and measuring machines. Under normal use, all instruments lose accuracy over time in the environmental conditions. 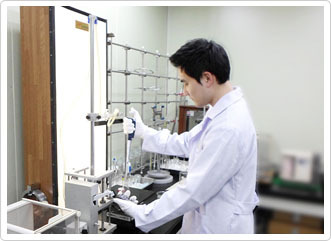 HEUNGJIN offers calibration service to maintain the accuracy of customer's instrument. If you need more information about calibration, Please send a E-mail. Copyright 2014 Heungjin Testing Machine All rights reserved.